Ignition Poker is the leading skin on the Pai Wang Luo Poker Network for players from most U.S. states and Australia. 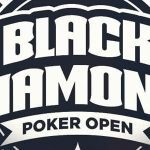 The Network is one of the most popular in the world for cash game traffic and hosts a comprehensive tournament schedule guaranteeing more than $1.5 million in prize money every week. Ignition Poker´s popularity is based on a “recreational model” that includes anonymous tables and feature-rich software. The site also has one of the best mobile platforms in the world, enabling players to play their favorite games on the go from any location with an Internet connection. The headline promotion most often responsible for attracting new players to Ignition Poker is the site´s $1,000 first deposit bonus. 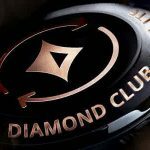 However, for a limited time only, Ignition Poker is also offering players the opportunity to experience Diamond Level rewards – the highest level of the site´s new rewards program. Whenever you contribute to the rake deducted from cash games, or you pay a fee to enter a Sit & Go game or multi-table tournament, you are awarded “Ignition Miles”. These entitle you to daily cashback on any losses and can be exchanged for casino bonuses and tournament entry tickets. The cashback percentage and exchange rate is determined by your level in the Ignition Rewards program. Normally, when you first start playing at Ignition Poker, you begin the rewards program at the lowest level – “Steel” – and then work your way up the levels by earning more Ignition Miles. Furthermore, if you make a subsequent deposit within thirty days via Bitcoin, your Diamond level status will be extended for a further thirty days. Don´t forget, while you are benefiting from this promotion, the Ignition Miles you collect will also count towards clearing the Ignition Poker first deposit bonus. Although you can exchange Ignition Miles to play in any Ignition Poker tournament, you may be interested in the new Monster Stack tournaments at the site. These take place at 7:30am, 7:00pm, and 7:30pm (all times ET) and offer varying guaranteed prize pools depending on the day of the week. Monster Stack #1 (7:30am) – Buy-in $27.50. Prize Pool Guarantee $3,000. Monster Stack #2 (7:00pm) – Buy-in $27.50. Prize Pool Guarantee $10,000 to $15,000. Monster Stack #3 (7:30pm) – Buy-in $162.00. Prize Pool Guarantee $20,000 to $25,000. In each Monster Stack tournament you start, as the name suggests, with a monster stack of 15,000 chips – which can be as many as 750 Big Blinds depending on the structure of each tournament. It is also worth noting on some days the tournaments are played Full Ring and on other days as 6-Max events. Satellite qualifiers for the Monster Stack tournaments – with buy-ins starting at $2.20 – run throughout the day if you want to get a little extra value from your Ignition Miles exchanges. Alternatively, you can win a $27.50 ticket via a $2.20 satellite, and use it to enter a qualifier for the $162 Monster Stack #3. 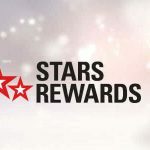 The 30 Days of Diamond Rewards promotion started last week and only runs until May 5th. Therefore, if you have not yet opened an account at Ignition Poker, now is the time to do it. If you need more reasons to play at the site, head over to our Ignition Poker review, which will give you more information of the kind of experience you can expect when you play at Ignition Poker.